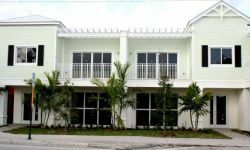 The Lake Worth CRA developed a strategic approach to redeveloping the district several years ago. The Program to assist with this approach was called the Cultural Renaissance Program. Since that time the name changed to LULA, Lake Worth Arts. While the CRA worked on the development of the LULA program, the Agency also focused on several undertakings. 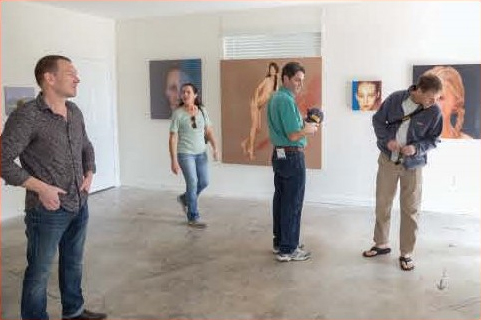 These included the attraction of the Palm Beach County Cultural Council to the downtown, the attraction of an urban Publix, purchase of the 1000 Lake Avenue Building to serve as a future artist/ cultural center and the awarding of over $23 Million in Neighborhood Stabilization funds for the development of workforce and affordable housing. The development of the Urban Arts Lofts exemplifies a synergy between the two programs. The Lofts provide much needed live/work space for artists of all disciplines and safe, conveniently-located affordable housing, close to the downtown. 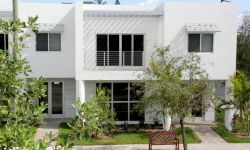 The project was certified by the Florida Green Building Coalition. The Agency and its partners believe it is best for the City and for the long term users of these units that funds be spent on keeping the units affordable and includes sustainable materials and elements ensuring low utility costs. Although most of the homes developed with NSP-2 funds are single-family homes, the proximity of these particular lots to the downtown and businesses along Lake and Lucerne help form a better synergy between the east and west commercial areas of both Avenues. Good urban design touts an environment where people can work, live and gather. With the development of 1000 Lake Avenue, the old Shuffleboard Courts and the Urban Lofts, the area has become a focal point for arts and arts related activities. 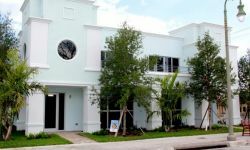 The construction of the Urban Arts Lofts (UAL) was a true community development project, consisting of 12, brand new, two-story live/work lofts in the heart of the City of Lake Worth. The three essential elements of this project included: style, sustainability and affordability. The goal of the Urban Arts Lofts is to provide workspace along with affordable housing. The complimentary outcomes include the development of lots that had been blighted and underutilized for many years, the development of energy efficient/green units that will help market the City and a real focus on setting the standard for quality opportunity housing within the City. The UAL is located adjacent to public transportation, work opportunities, and natural and cultural amenities. Construction of the UAL development was completed in February 2013. 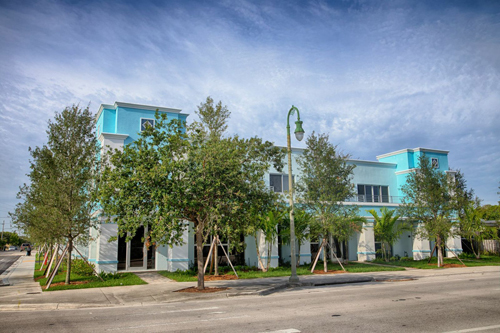 UAL is located on the corner of Lucerne Avenue and F Street in Lake Worth Florida.